Concentrated - one spoonful at a time. No flavour enhancer and preservatives added. No added colouring. Suitable for vegetarians and vegans. 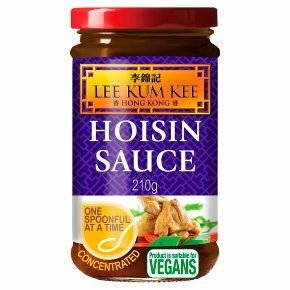 Hoisin Sauce is used as a dressing in crispy aromatic duck and as a stir fry sauce in many Chinese classics such as Kung Pao Chicken. Also great as a dip and as a marinade for ribs and roasts.